We don't want to "up the ante" or "change the game"... we just want to offer the absolute best experience possible from a modern electromechanical-type keyboard instrument. 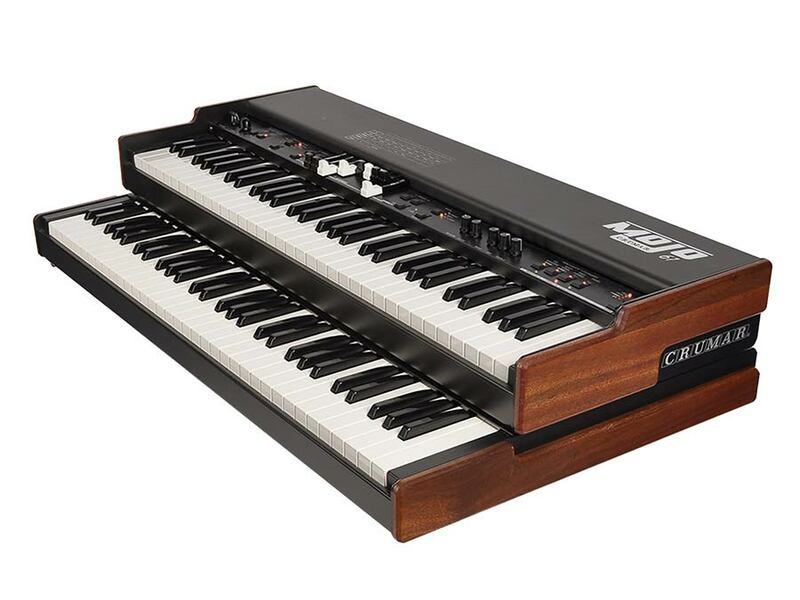 The result is the Crumar Mojo 61, a compact digital drawbar organ/electric piano with a 61-note semi-weighted waterfall keybed and a practical and intuitive front panel, all housed in a sturdy yet elegant enclosure. 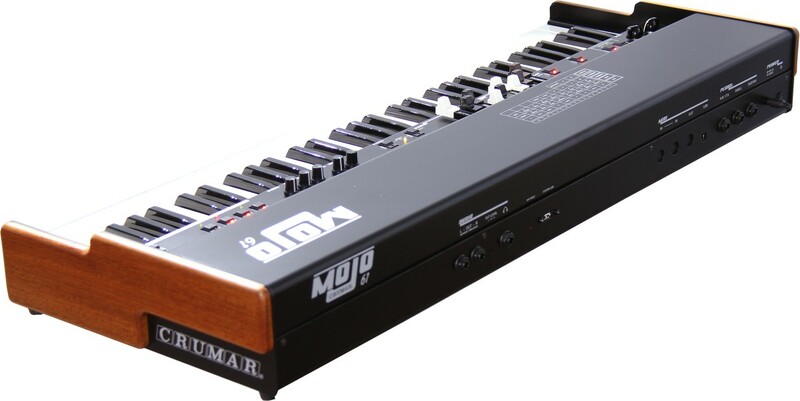 Mojo 61 uses state-of-the-art DSP technology derived from the GSi Gemini and is powered by GSi’s VB3-II engine, the same electromechanical organ simulation at the heart of the popular dual manual Mojo. Under the hood there's a plethora of innovative technology, intuitively combining modern audio processing with a classic, easy to navigate interface. The control panel features dedicated buttons, pots, drawbars and LEDs with clear labeling delivering a true "what-you-see-is-what-you-get" experience. Everything required for live performance is available at the touch of a button or turn of a knob, but the moment you need to access more power, it’s there. Any wi-fi device (smartphone, tablet, laptop) can be instantly connected to the Mojo 61! Just open the editor Web App in your preferred browser and you get total control over all the extensive sound and function parameters the Mojo 61 has to offer. Craft your own sound, exactly the way you want it! Mojo 61 has 22 different vintage tonewheel organs on board, pick the one you like best, tweak the parameters precisely to taste, then save it for instant recall. It's not just about having killer tonewheel organ. 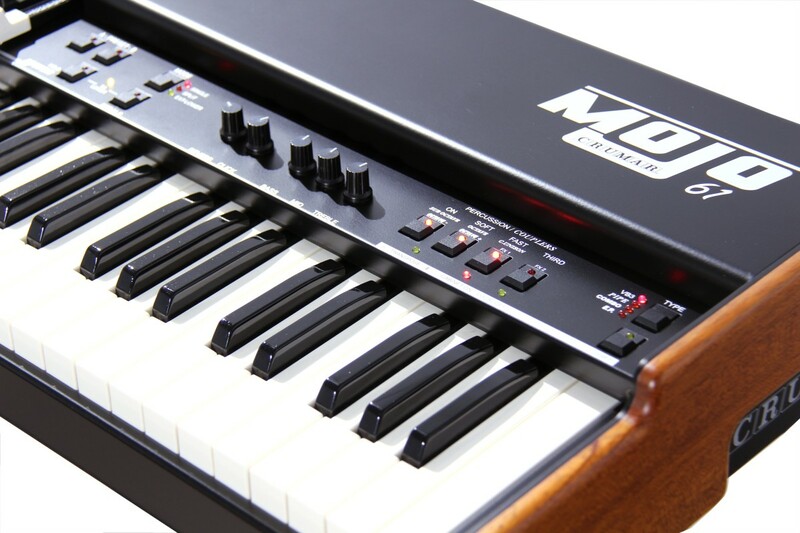 Mojo 61 features an extremely expressive, rich Pipe Organ modeled after a classic Baroque-style organ with 8 stops plus one mixture, three couplers and tremulant motor. No samples at all, and don't expect any dropped notes, because every sound the Mojo 61 generates is pure real-time physical modeling with full polyphony. 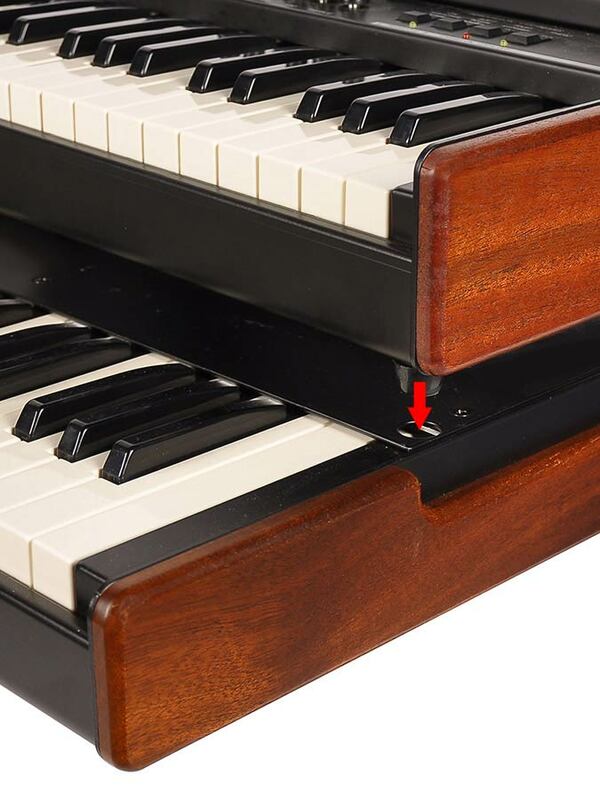 To complete the organ package, Mojo 61 includes two classic transistor-type instruments: the italian Compact DeLuxe and the Red Tolex Continental. Both feature stunning sonics that make you forget that you’re not playing the real thing. Want more flexibility? Two of the most sought-after electric pianos are on board, ready to play at the touch of a button. 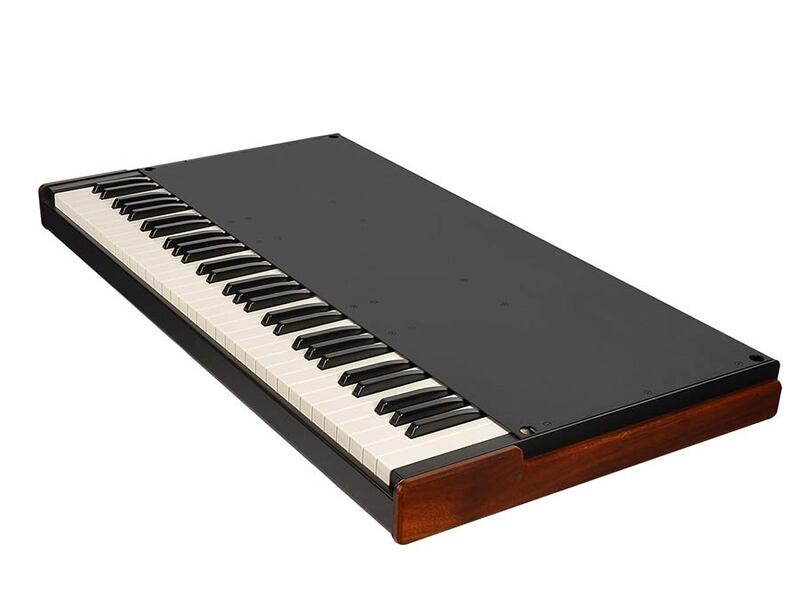 Mojo 61 offers meticulously physical modeling of a classic Tine Piano, a Reed Piano, and a Clavinet, an essential part of the Mojo experience. To complete the experience, the last sound is an hybrid (sampled / modeled) Acoustic Piano. 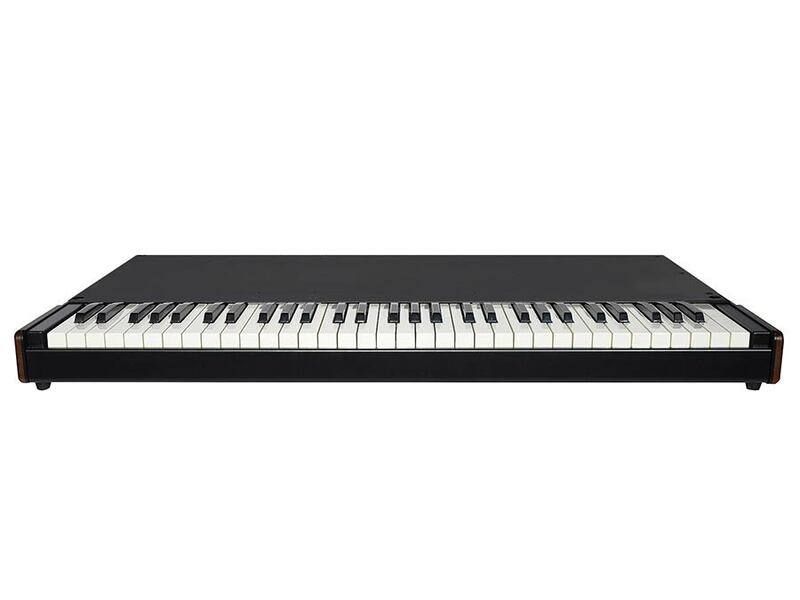 Both electric pianos are flawlessly emulated to provide realistic feel and sound of their mechanical counterparts. Every subtle nuance is captured, down to the sympathetic resonance, mechanical noises, behavior of the sustain pedal and every other detail. Everything is exactly where it should be! What's a tonewheel organ without a great rotary effect and a killer tube overdrive? 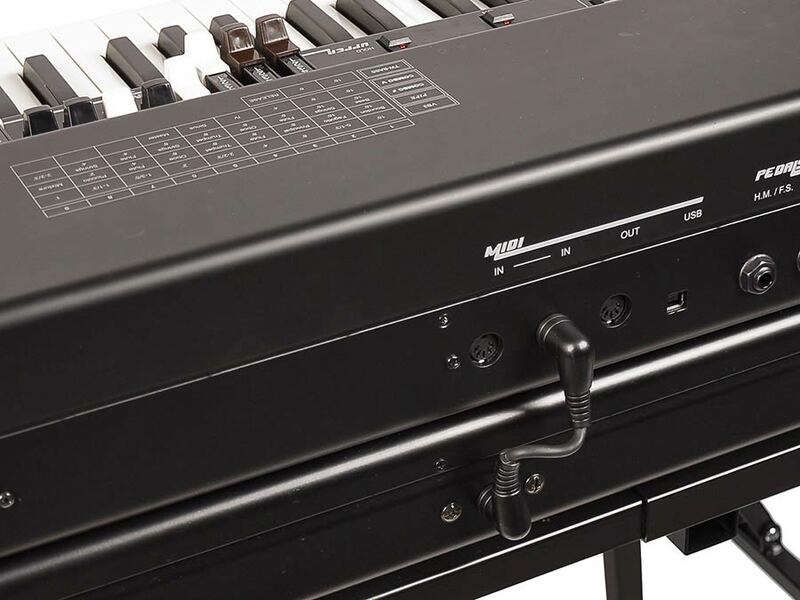 How can you think of playing electric pianos without an awesome stereo phaser or a stereo chorus? What about some static amps for the transistor organs? And hey... don't forget the reverb! To enrich and complete the Mojo experience, a comprehensive and powerful effects section makes it easy to customize any sound exactly to taste. None of the effects of the Mojo are boring. Each one has been painstakingly modeled after some of the most famous vintage stomp boxes, the most sought after guitar and bass amps, the most complex reverb algorithms and, of course, the gorgeous classic 122/147 tube rotary amps. It's hard to believe that such a compact instrument can generate such a big sound! 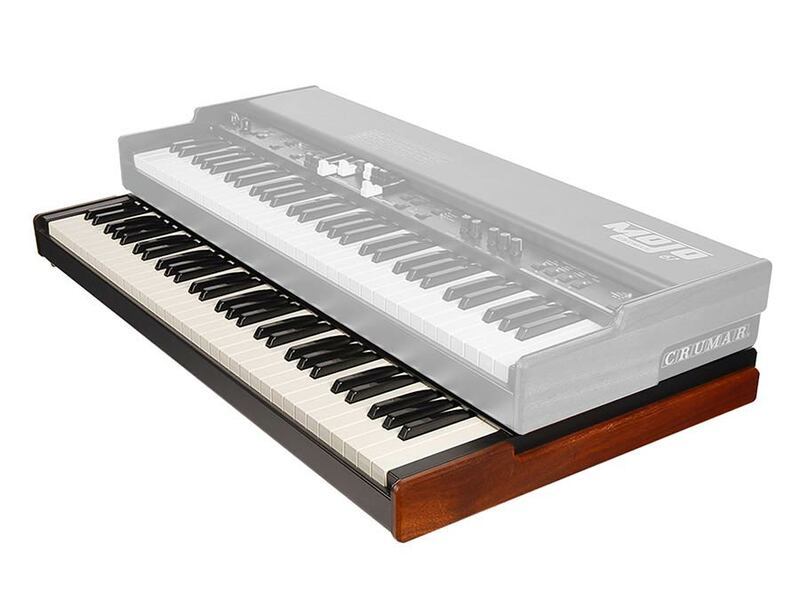 But it's the truth, it's Crumar Mojo 61. Make it a double manual! Want flexibility, modularity, better transportability? Add the optional lower manual keyboard. 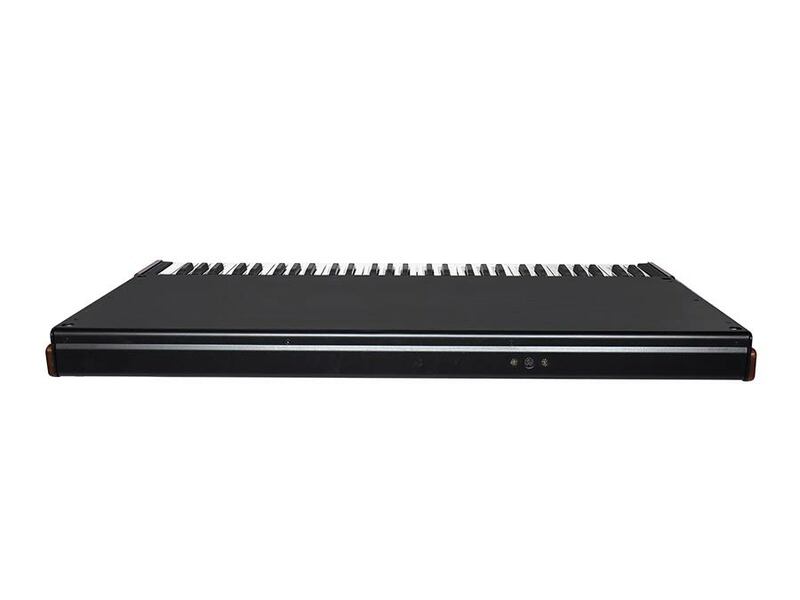 You won't need an additional power supply and no special tools are required to make the two keyboards stay together, the Mojo 61 will just sit on top of the lower manual, aligned thanks to the rubber feet matching with holes on the bottom keyboard. A single special MIDI cable will connect both units for power and data. Also, the optional lower manual can accomodate the optional Half-Moon Rotary Switch that is easily attached / detached by two hand screws and a TRS jack cable. Keys and finish match perfectly, allowing to use the "high trigger" point on the lower manual as well as on the upper manual. 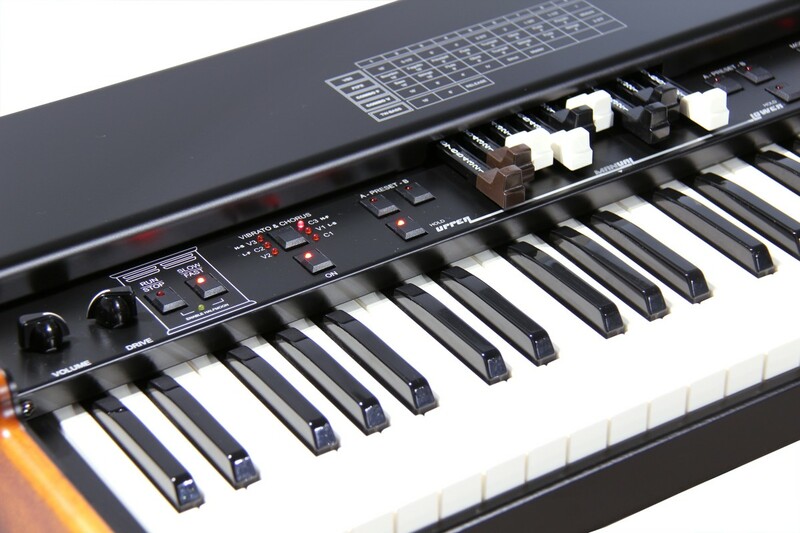 Your experience will be that of a complete dual manual clone organ that can be easily split based on your gig needs. And... of course, both the Mojo 61 and the optional Lower Manual have gig bags! 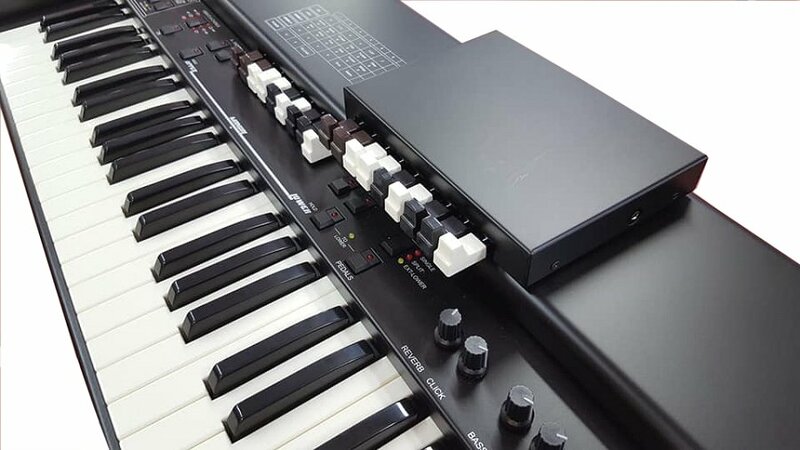 If you feel the need for the lower drawbars, the D9U is what you need. The D9U is the Crumar's first open-source Arduino-based project sold as a Do-It-Yourself kit or pre-assembled. It can be completely reprogrammed or hacked by an experienced Arduino maker, or used as is for controlling either the lower or the upper drawbars. Has built-in Class Compliant USB-MIDI from which also draws power (no need of an extra PSU!) and also offers a traditional UART MIDI port by means of a TRS mini-jack connection on the side. Can be used with many other clonewheel organs or synthesizers from other manufacturers, is perfect with organ plugins such as GSi VB3-II. Click the pucture above to learn more.